iD v2 is now available on OpenStreetMap ~ Business Intelligence y Big Data: ¡Aprende Gratis sobre Analytics! The web-based iD editor is designed to help create an even better, more current OpenStreetMap by lowering the threshold of entry to mapping with a straightforward, in-browser editing experience. 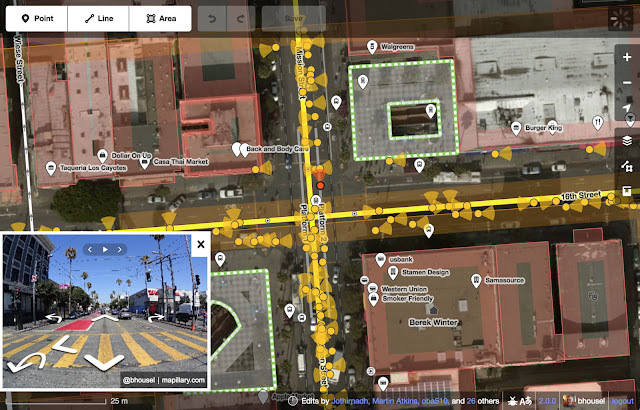 Head over to OpenStreetMap and start editing today! You can make meaningful contributions with just a few minutes of training. You can also help OpenStreetMap by donating to the OpenStreetMap Foundation’s 2016 funding drive. Donate today and your gift will go even further because Mapbox is matching €10,000 of donations. Check out iD on Github to contribute code, make suggestions, or report an issue.